Delhi IPL team 2019 players are placed here. 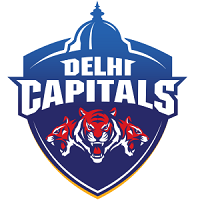 The Delhi Capitals (formerly known as Delhi Daredevils) have been perennial underperformers in the IPL and had finished eighth and last in the previous season as well. The good news is they have a squad that can go the distance, especially given the presence of their Indian batsmen but can get their bearings right for this season? DC (formerly DD) squad 2019 is placed below. Interestingly, quite a few Delhi Capitals players have been released from their squad, what with Gautam Gambhir, who had led them in the first few matches of the tournament last year, getting the axe too. There will be no Jason Roy, who might be selected in the England squad for the World Cup and hence might have to leave early while Mohammad Shami, who has been injury-prone, also gets the boot. Among others who won’t be playing for the Daredevils squad, this season is Junior Dala, Glenn Maxwell, Sayan Ghosh, Daniel Christian, Liam Plunkett, Gurkeerat Singh Mann and Naman Ojha. The big news, however, is the trade of Shikhar Dhawan into the squad from the Sunrisers Hyderabad, but in doing so, the Daredevils have lost Abhishek Sharma, Vijay Shankar and Shahbaz Nadeem, three very key players. Retained for this season are a plethora of Indian batsmen – Dhawan aside, just imagine a Delhi Capitals top-order of Shreyas Iyer, Rishabh Pant and Prithvi Shaw, and you probably have a top four takes care of the batting. add one overseas batsman of repute like Colin Munro, and three good seamers to the playing XI and the Delhi team is one to watch – now for performance on the field. Among the bowling options that already exist are Amit Mishra, Avesh Khan, Harshal Patel, Rahul Tewatia, Jayant Yadav, Chris Morris, Kagiso Rabada, Sandeep Lamichhane and Trent Boult – this makes the Daredevils a team to beat. What the Daredevils would probably need from the auction is one good quality overseas batsman and a decent Indian pacer to replace Mohammad Shami in the line-up. DC players who may depart early to their respective countries to prepare for world cup: Kagiso Rabada (SA). They also have a salary cap of Rs. 25.50 crore for which they can fill up seven Indian and three foreign slots. DD team 2019 players list is placed below. I am sure that he will take DC in playoff.. So please dont miss sandip in todays match..
Don’t take Shikhar Dhawan in next match. He spoiled the innings. Please replace. 1 P. Shaw, 2 Dhawan, 3 C. Munro 4 S. Iyer, 5 R. Pant .Allrounder3 6 A patel ,7 H patel, 8 Paul,9 A. Mishra,10 boult ,11any fast boller. Rishabh pant aaj bahat Kamal Kiya … We enjoy in live ..
Sp lamichane will be the best option…..
Rishab pant are good player in this team ..